The story of what happened over ten years ago has continued to grip public interest, putting a spotlight on the dire and desperate situation faced by many parents of addicted children. A highly successful play was produced in theatres around South Africa in 2011/12, and a full-length movie has recently been made of this story, which will reach the big screen in September 2018. When Dealing in Death was first published in 2009, the scourge of drug addiction was sweeping across South Africa, affecting every level of society. Little, if anything, has changed since then, as this new edition reveals. The use of tik, particularly in the Western Cape, has skyrocketed, and it was Abie Pakkies’s addiction to this drug, and the horrendous impact it had on his and his family’s lives, that drove Ellen to murder. Her trial exposed the dark underbelly of a community crippled by drug and alcohol abuse, and focused attention on the plight of those who live in poverty and do not have recourse to drug-rehabilitation centres and other measures effective in the treatment of addicts. Sylvia Walker has close on 30 years’ experience in the financial services industry and spent a large part of her career as a marketing manager with a blue-chip company. She left the corporate world at the end of 2014 to pursue her interests further afield. 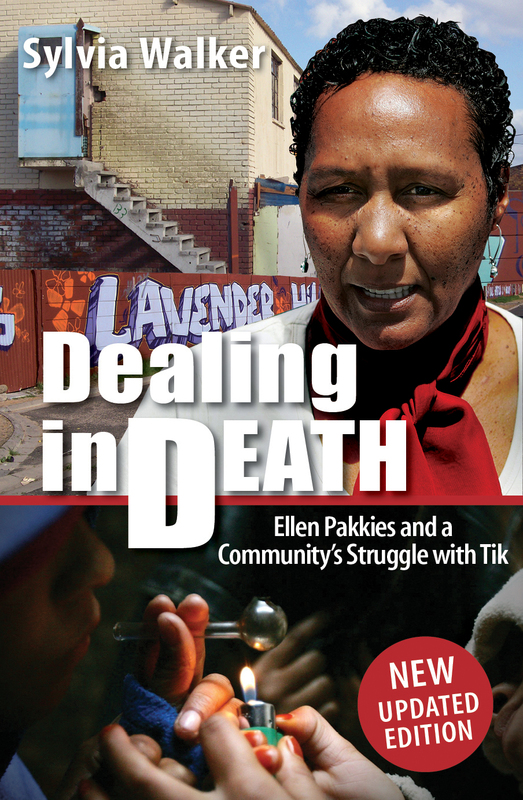 She has authored, co-authored and contributed to a number of books, among them Dealing in Death - Ellen Pakkies and a community’s struggle with Tik and Steeped in Blood, the memoirs of Dr David Klatzow. Sylvia also writes articles for online publications and does workshops and talks on various aspects of financial literacy and planning. She has a long history of working with major media (both print and radio) in South Africa and is currently the resident financial guru on the Cape Talk Early Breakfast Show, and is on air every Friday morning. >> CLICK HERE to listen to recent interviews with Sylvia Walker.